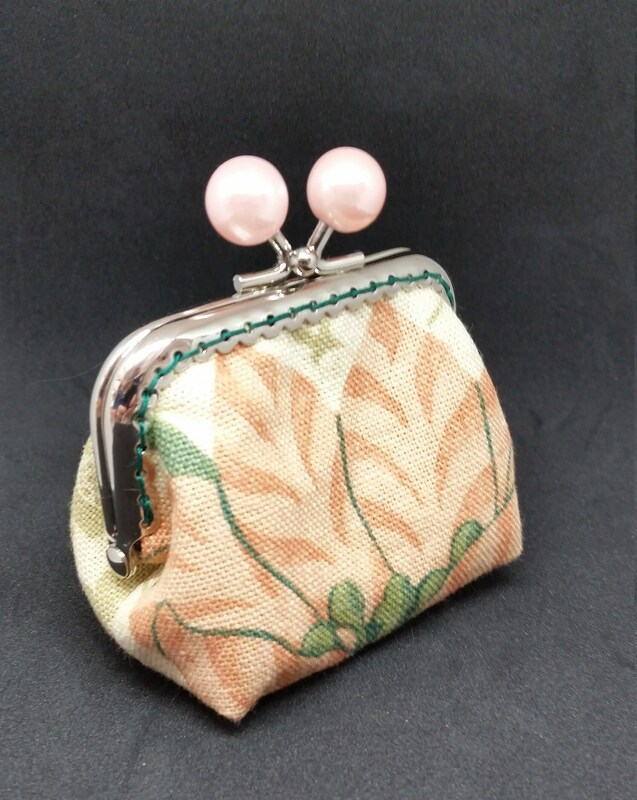 CP610 Apricot flower small coin purse. 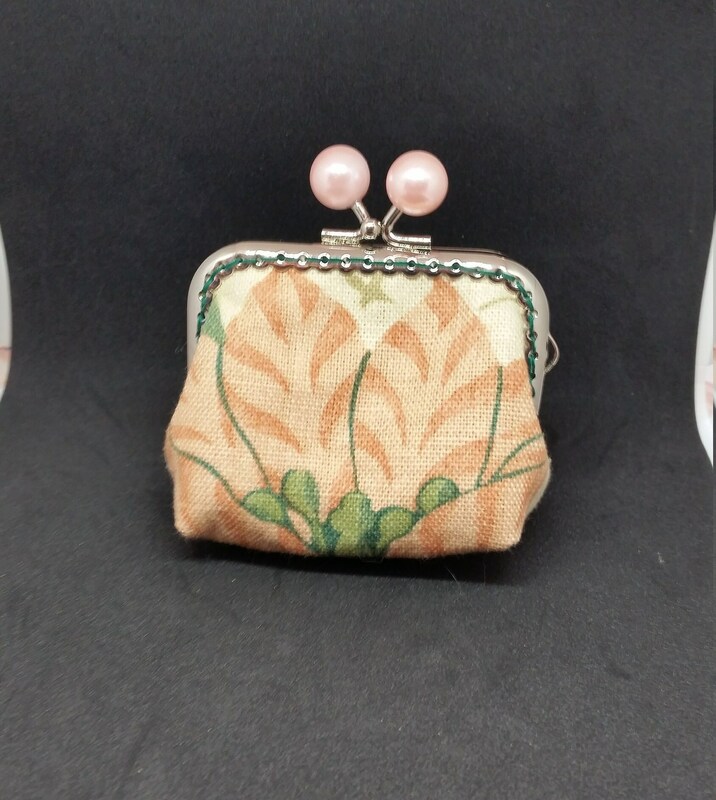 CP610. 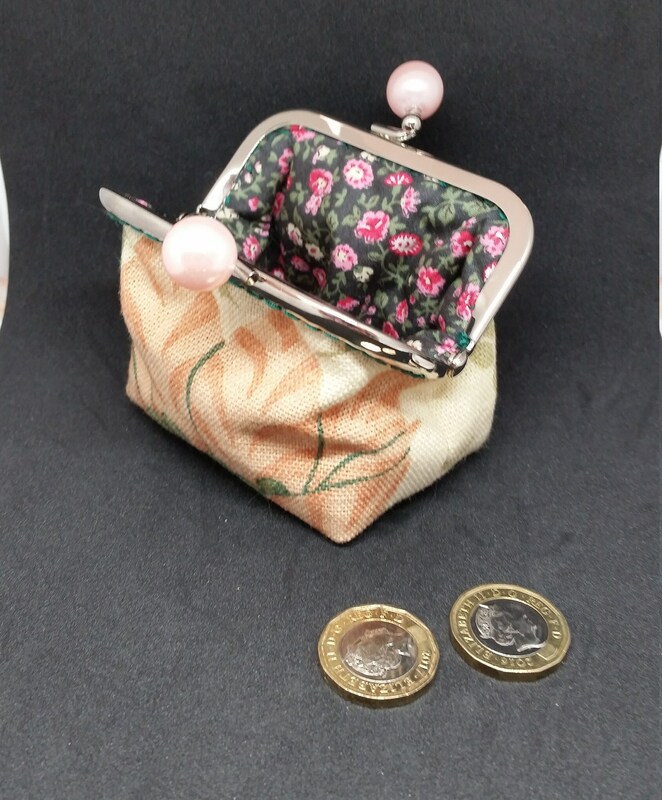 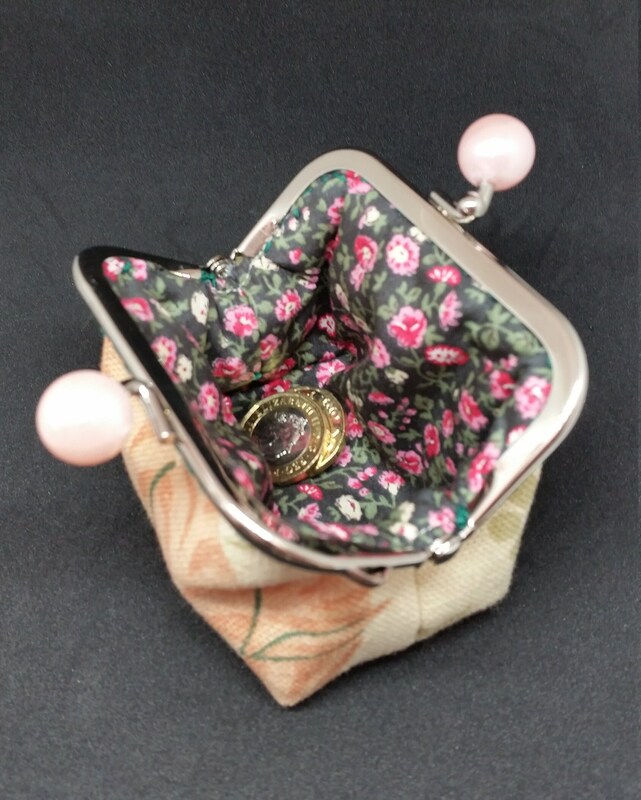 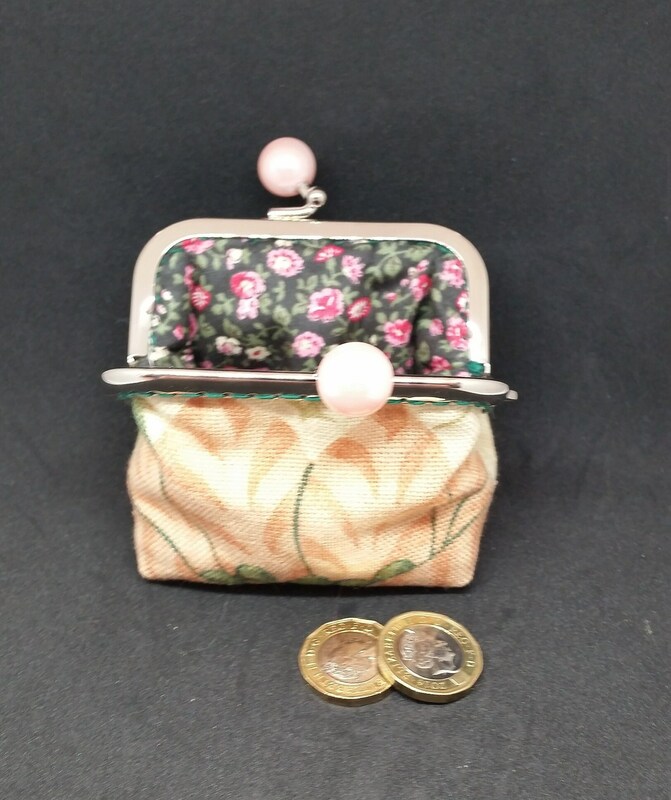 Small apricot flower coin purse. 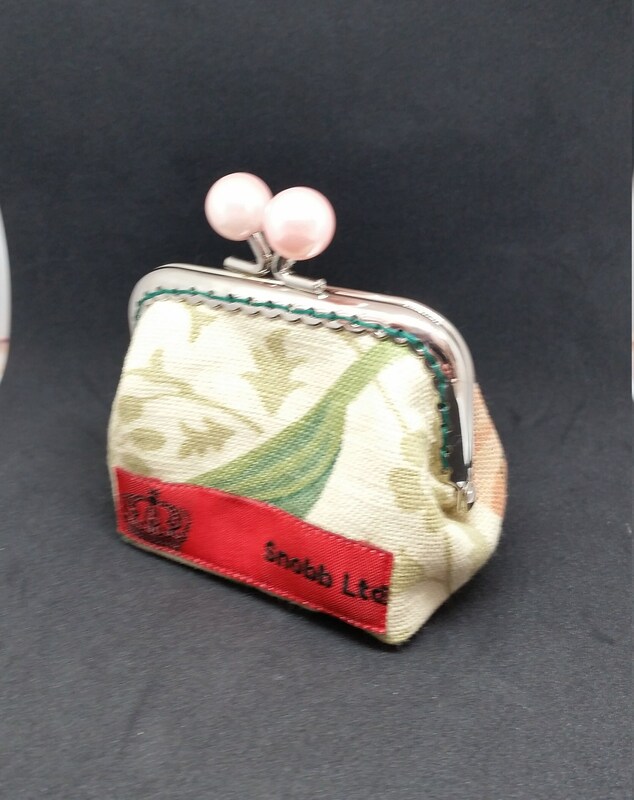 Chrome look kiss lock frame with beautiful pink pearlised clasp.